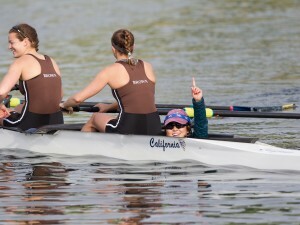 Yale University claimed the top spot in this week’s USRowing/Collegiate Rowing Coaches Association NCAA Division I Varsity Eight Coaches Poll, while Western Washington University and Williams College topped the Division II and III polls, respectively. Yale University earned 20 of 25 first-place votes to remain on top of the Division I rankings. Stanford University received four first-place votes to rank second, while the University of California at Berkeley earned one first-place vote and ranked third. The University of Washington and Michigan State University rounded out the top five. Western Washington received all six first-place votes to earn the top spot in the Division II poll. Philadelphia University took the second spot, while the University of California at San Diego ranked third. Williams College received all 10 first-place votes to earn the top spot in this week’s Division III poll. Bates College ranked second, with Trinity College taking the third spot. Ithaca College and the University of Puget Sound rounded out the top five. Not Ranked But Receiving Votes: University of Louisville 13, University of Notre Dame 7, University of Iowa 4, Bucknell University 3, University of Pennsylvania 3, Dartmouth College 2, Gonzaga University 1 and Northeastern University 1. Not Ranked But Receiving Votes: Barry University 5. Not Ranked But Receiving Votes: Marietta College 12, University of Mary Washington 12, Simmons College 6 and Skidmore College 6.